Grand Prix of Europe at Nurburgring, September 26, 1999, I was there. Grand Prix of Monaco, May 29, 2016. I was there. Seventeen years apart, but the story repeated itself last Sunday. Nurburgring: Eddie Irvine comes into the pits following a last minute strategy decision. Slicks for slicks to change a two pit stop strategy into a three. 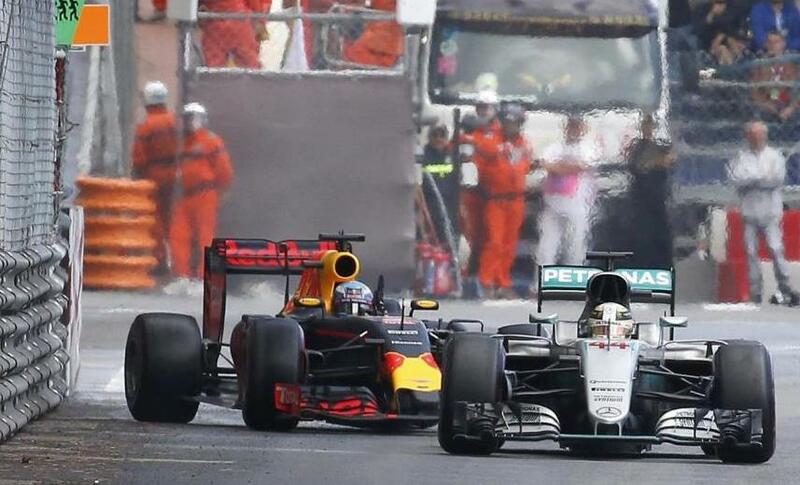 Monaco: Ricciardo is flying and he has more advantage over Hamilton than what he needs to stop and retain the lead. The choice of tyres is wider nowadays and the Red Bull Team goes from an intermediate to a super soft compound. Nurburgring: The Ferrari mechanics have the wrong set ready but they realize it only when Eddie comes down the pit lane: panic! They try to grab the right rubber, but one of the tyres is lost in the garage. It looks like a comedy, but it is in fact a tragedy. Monaco: The Red Bull guys go for the wrong compound first, then fit the chosen set, but valuable time is lost, too much time. Nurburgring: Eddie rejoins the race but finishes in 7th place overall and that year’s Championship is gone. Monaco: Daniel exits the pits behind Hamilton. If you are in Monaco and you are racing looking at the back of Lewis’ rear wing, you have nowhere to go. Like Eddie, Daniel lost his big chance. Maybe the Aussie won’t lose the world crown for a bunch of points like Irvine did, but for sure Ricciardo lost prestige and Red Bull lost face, just like Ferrari, seventeen years ago. Sometime I think back to 1999 season, with the point system used for F1 from 2003 to 2009 and with the actual system, Eddie Irvine would have won the Championship.